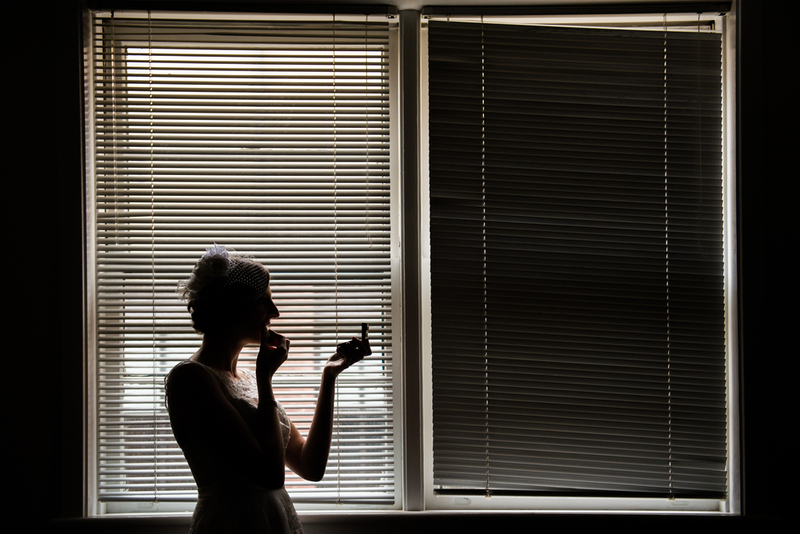 I am always excited to photograph a wedding. Every venue, every couple, nearly everything about a wedding is different front the last and exciting in it's own right. Even still, there are times when I am extremely excited for a particular wedding, and this was one of those weddings! Doug and Alex live and work in the Washington D.C area, and they knew they wanted to have bridal portraits in the Library of Congress. If you haven't been to the Library of Congress, it is an incredible building with beautiful architecture and artwork decorating the walls and ceiling. The images we captured there featuring Doug and Alex were stunning with the grand archways and intricate paintings. Another exciting part of the day was the reception, held at the Torpedo Factory Art Center in Alexandria Virginia. The Torpedo Factory was an old munitions plant that since 1974 has been home to "the largest collection of publicly accessible working artist studios in the U.S." This building was an actual factory for torpedoes from the end of WWI to the end of WWII. It is an fascinating building, beautifully decorated and lighted to be an intriguing place to hold a wedding reception! 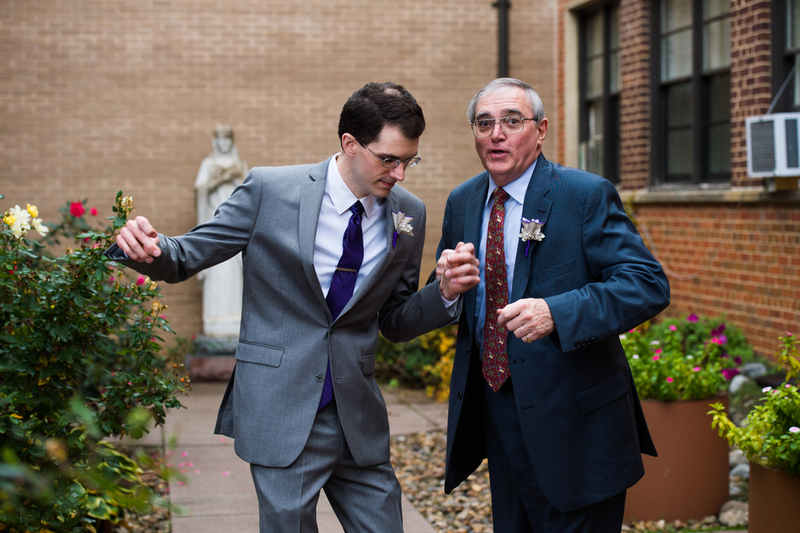 See my favorites from Doug and Alex's day below! 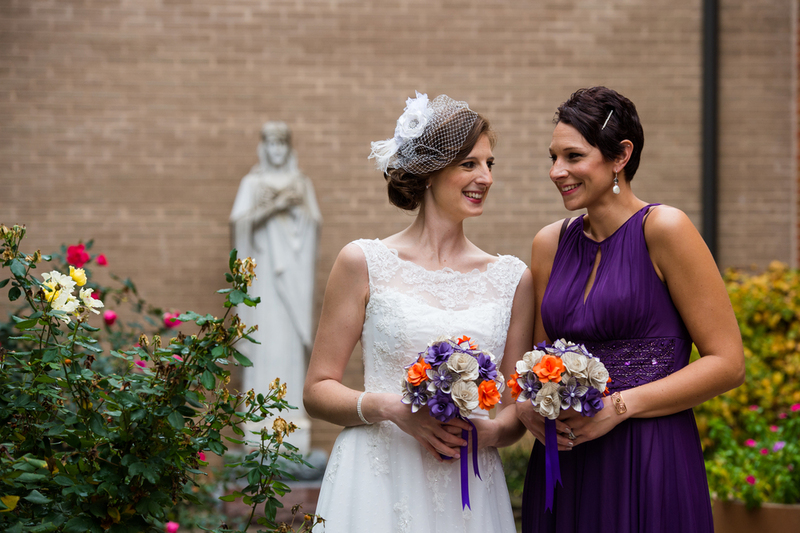 Preparations were finalized at the ceremony site, St. Charles Borromeo Catholic Church. I enjoyed getting to know Doug and Alex's family during this time, they are a fun bunch of people who aren't afraid to loosen up and joke around! This made them very easy to photograph. 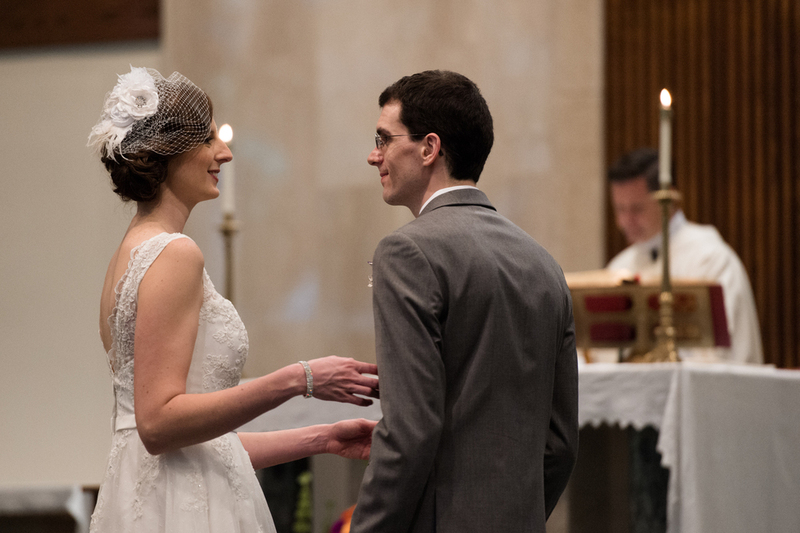 Doug and Alex held a beautiful Catholic mass for their ceremony; it was a joy to see these two committing their lives to one another. Right after the ceremony we raced over to the Library of Congress to get in the door before they were closed to new visitors. Once inside, it was difficult to know exactly where to start! The artwork and structure of the Mezzanine can be overwhelming at first. We stayed inside the Mezzanine for the entire portrait session, only venturing out front at the end. There was more than enough to work with to capture great images. From there darkness fell quickly and it was off to the Torpedo Art Factory in Alexandria for the reception. The Torpedo Factory is rigged with a light setup that practically turns the building into a piece of modern art! The constantly changing lights set the mood very well. I was glad to be able to capture an image with everyone at the reception, one of my favorite kinds of shots! Near the end of the night we did one last batch of portraits behind the Torpedo Factory along the waterfront. Doug and Alex love old books, so they used a number of old retired library books for their centerpieces! It was a simple and eloquent look.